The freakout that ensued after the release of Google Maps v7.0 over the thought that both Latitude and Offline Maps were missing was heard loud and clear by Google. 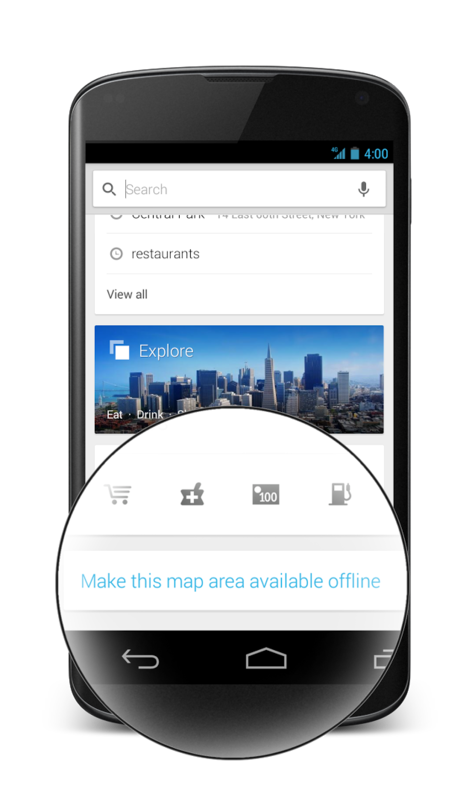 We know now that Offline Maps is still there, it simply requires that you put an area of the map you’d like cached in view, then tap Search, and finally enter the words “OK Maps” to save it for later. Seems simple, right? Not so much. But as I just mentioned, users also noticed that Latitude, the popular person tracker, was missing. Google addressed both issues in a blog post hours after the update was released, confirming that Latitude was being retired and that Offline Maps required an extra not-so-intuitive step or two to work. Apparently, that was not enough as they are preparing to push another update to make all of this as clear as ever. In a Google+ post last night, the Google Maps team recognized that users are missing the easy way to access offline maps. They mentioned that their engineering team has been working “around the clock” to add a “Make this map area available offline” button in the search box (pictured above), so that you no longer have to type “OK Maps,” though that option is still available. They even included a “Where’s Latitude?” link at the bottom of the side menu that will direct users to more information about the retirement of the service. Both additions will join an update that will roll out globally starting today. Let us know if you receive it.